JetBlue's launch of direct flights from New York to Curaçao, announced Wednesday, will invigorate the Dutch Caribbean nation’s recent efforts to expand its U.S. visitor base, said Stanley Palm, the country's minister of economic development. 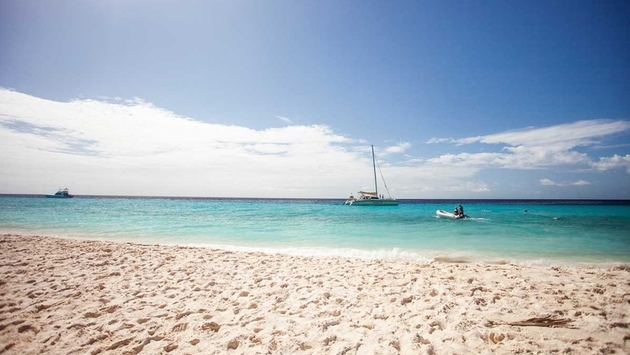 JetBlue’s non-stop service from New York to Curaçao will launch on Dec. 2, 2014, making JetBlue the only airline offering non-stop flights between New York to Curaçao. “We have been working closely with the team at JetBlue to bring this flight to the island and are thrilled it has come to fruition,” said Palm, speaking at a New York media gathering Wednesday. He said Curaçao, represented by the Curaçao Tourist Board, is expanding its outreach to North American travelers. Despite its comparatively low profile among North Americans when compared with other Caribbean destinations, Curaçao tourism has grown steadily in recent years, said Palm. The Caribbean Tourism Organization reports Curaçao hosted 440,044 overnight visitors in 2013, a 4.9 percent increase over 2012. The country is also a strong player in cruise tourism, drawing 610,186 cruise ship visitors in 2013, a whopping 41.4 percent increase over 2012. “The last 10 years the tourism numbers have more than doubled, so tourism has been very good to us,” Palm said. “But we are a very diversified economy that’s a bit different from the other countries in the region. The JetBlue flights will operate on Tuesdays and Saturdays between New York’s John F. Kennedy International Airport and Curaçao International Airport. “We are excited to be able to offer customers the only non-stop route from New York to Curaçao ,” said Robin Hayes, JetBlue’s President. Curaçao resorts are partnering with the Tourist Board to offer packages available for booking through Sept. 15, 2014. The packages feature up to 50 percent off rates at hotels, dive operators and attractions. The packages apply to travel from Sept. 15 through Dec.15, 2014.